The Bridges at Springtree Golf Club – Welcome to the Bridges at Springtree Golf Club! Welcome to The Bridges at Springtree Golf! THE BRIDGES at SPRINGTREE GOLF CLUB features the plush Supreme Paspalum grass on Tee’s and Fairways and Platinum Paspalum on the greens. Before or after golf, our guests will be able to relax in our beautiful clubhouse that features a full service bar and dining room and beautiful outdoor patio overlooking the 18th hole while they reminisce about their round of golf. 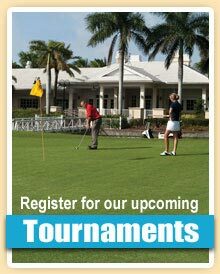 Read more about our Golf Course. • 18 Hole Par 62 Championship Quality Golf Course. • Superb Short Game Practice Facility . • 20,000 sq ft chipping area with bunkers. • PGA Professional Staff . • Clubhouse with full service restaurant. • Golf lessons from a PGA Professional. • Full service Bar overlooking the 18th Green.